Help us celebrate 20 years of ABA. This year is the 20th anniversary of Child Autism UK (formerly Peach). 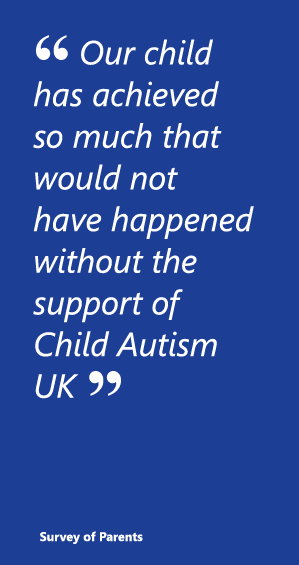 We believe we were the first organisation to provide ABA services for children with Autism in the UK. We were set up 20 years ago this summer! We will be holding our annual dinner and auction on the 8th October, at the Runnymede Hotel in Egham, Surrey. This will be our 20th year birthday party! The event will be formal (suits) black tie for the gentlemen and cocktail dresses/long dresses for the ladies. There will be a formal dinner, music, dancing and an auction of experiences and gifts (Michelin star restaurant dining, tickets at major sporting events etc.). We think this is a great opportunity to get as many of the ABA community as possible in one place at the same time. The Runnymede Hotel are offering discounted rooms for those who want to stay the night. We would really love to see everyone who shares our passion for ABA. We have set the price of tickets as low as we possibly can at £45 each. If you wish to come, please contact our office on 01344 882248, or email info@childautism.org.uk . Payments for tickets can be made directly via our website http://www.childautism.org.uk/payments/invoice/ using invoice number 4816. We look forward to celebrating 20 years of ABA with you on 8th October. Help Child Autism UK. Just by shopping online. You can now help Child Autism UK – just by shopping. Shop with your favourite stores and they’ll donate to us – all without charging you a penny more.